World no.1 and 10-time Grand Slam champion Novak Djokovic will make his second appearance at the Qatar ExxonMobil Open, the first tournament on the 2016 ATP calendar. The ATP World Tour 250 event, which has attracted four of the top 10 players in the world, will take place at the Khalifa International Tennis and Squash Complex from January 4-9. 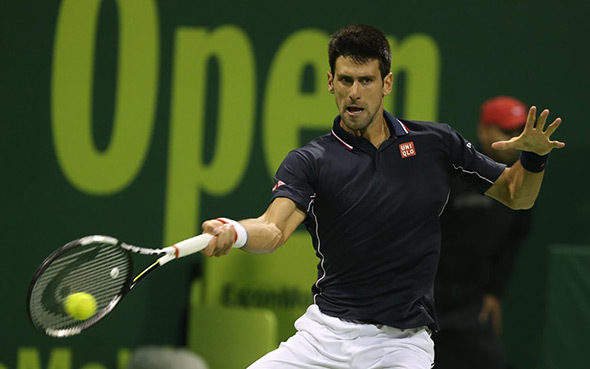 Novak is no.1 seed and will open his campaign against German qualifier Dustin Brown (ATP #118). It will be their first career meeting. “I’m so happy to kick off new season in Qatar again, where the event is so well organized and I was well treated last year. I’m excited to comeback and perform at my best in this opening season tournament,” said Djokovic. On his debut in Doha in 2015, Novak finished quarter-finalist to Ivo Karlovic 7-6, 6-7, 4-6.